While those in the southern hemisphere are enjoying the last days of warm weather, the northern hemisphere is ready to welcome the spring! Spring is in the air! Dates: From 13th to 15th of March, every year. The biggest celebration in Thailand is the beginning of a new cycle, the Lunar New Year. “Songkran” is derived from the Sanskrit word “Sankranta,” which means ‘when the sun shifts from one zodiac to another.’ This occurs when the dry season ends and the hottest season of the year begins. It is also a religious celebration when people go to a “wat” (Buddhist monastery), to pay homage to Buddha. In addition, monks are “bathed,” and houses and churches are cleaned as part of a ceremony known as “Rod Nahm Dum Hua,” where people sprinkle their hands with scented water. The water is utilized as an instrument of respect and symbolizes the cleaning of the spirit, mind and body; it’s also meant to wash away the bad luck. So if you are teaching English in Thailand consider yourself blessed if you get drenched! Following the religious ceremony and the formalities end, Thailand kicks off the largest celebration in the country, “The Thailand Water Festival,” which also also happens to be the largest water fight in the world. For three to five days, people splash each other with water in every possible fashion. 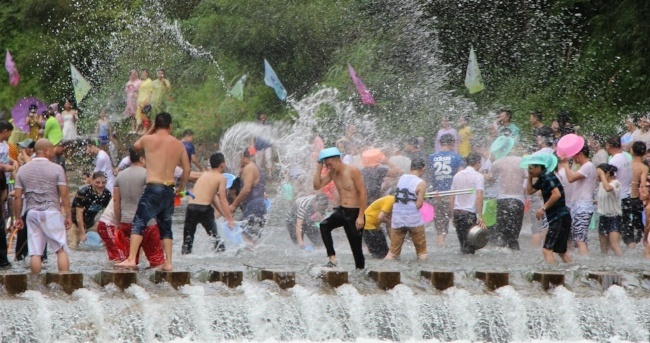 This is the moment when wild water battles begin; water balloons, water guns, hoses, buckets and any other water holding mechanism will be used to splash anybody and everybody - it’s three days (up to five in some areas) of getting soaked, and soaking others! Even elephants partake in the festivities, blasting water from their trunks into large crowds and passing pedestrians. People drink, dance and celebrate in the streets, attend various parades and entertainment events as the temperature rises to more than 100 degrees! The water becomes a welcome relief! Dates: Varies the city and the weather, but is held every year between the end of March and early April. The most beautiful day in Japan occurs when the cherry blossoms finally blossom around the country and when a few days later, they fall to the ground like pink snowflakes. This season holds huge importance for Japanese, who enjoy the view having picnics, under the “sakura” or “Uma” trees, in awe of the natural spectacle. In Okinawa, the people hang lanterns in the trees to enjoy the evenings during this beautiful time. It’s here in southern Japan where the blossoms begin, and before moving up in the coming days and weeks to Kyoto and Tokyo. 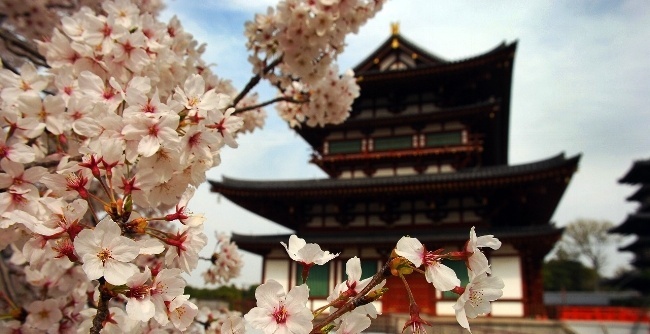 There are many festivals around the country to enjoy the beauty of the cherry blossoms with sake drinking, haiku writing and music. Spring symbolizes mortality because of the short life span of the cherry blossom, its early death coming so soon after its rapid and colorful emergence. 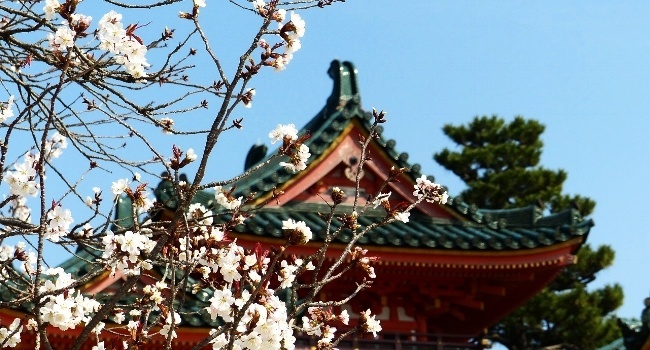 Today cherry blossom celebrations are held in other parts of the world, as Vancouver to Washington, D.C. and Korea. Dates: The first Monday following the Coptic Easter, every year. Sham el-Nessim is a national holiday in Egypt, which marks the beginning of the spring and has been celebrated for the last 4,500 years making it one of the oldest celebrations of any type in the world. For Egyptians, this day represents the beginning of creation. The word “Sham” was originally derived from the feast of “Shamo,” which means “renewal of life.” Later, the meaning of the word “sham” changed to “the smell of breathing.” The word “Nessim” means “breeze.” This celebration symbolizes rejuvenation, growth and new life. The traditions for this distinctly Egyptian celebration remain today. Many people, especially women, cut an onion and smell it early in the morning. Around noon, many people take a ride or walk around the countryside, or take a boat ride to smell the air, which is believed to have a beneficial effect on this day. Many families prepare traditional foods and their blankets to have dinner outside, perhaps along the Nile, to enjoy the breeze of the spring. Some of the dishes traditionally eaten on this holiday include a traditional salted fish, known as “fessikh,” “mouloukhiya” (a green stew usually made with chicken or rabbit), stuffed grape leaves, and colored, decorated eggs. Thousands of years ago, during the pharaonic age, spring was celebrated with gifts of lotus flowers to loved ones, and by decorating sailing vessels with flowers. Dates: Two weeks after the Easter Holy Week every year. The most important celebration in Seville, Spain is the welcoming of spring, when one must take part in the “fiesta” and enjoy the sweet aroma of the orange and jasmine blossoms. 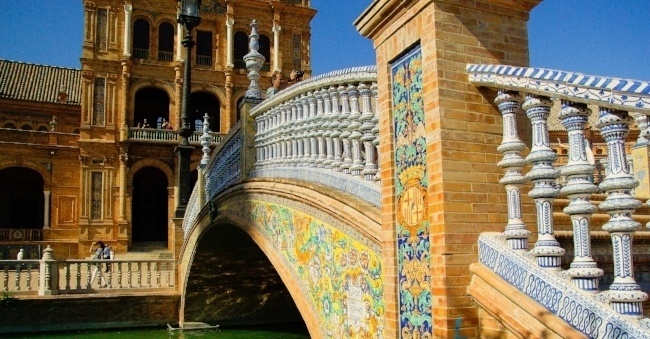 The “Seville April Fair” starts at midnight and is celebrated for an entire week with parades, traditional food, drinks, flamenco music, and ends with a spectacular fireworks display. Take a horse drawn carriage around the city during this special celebration, which is considered the best time of year to visit Seville. 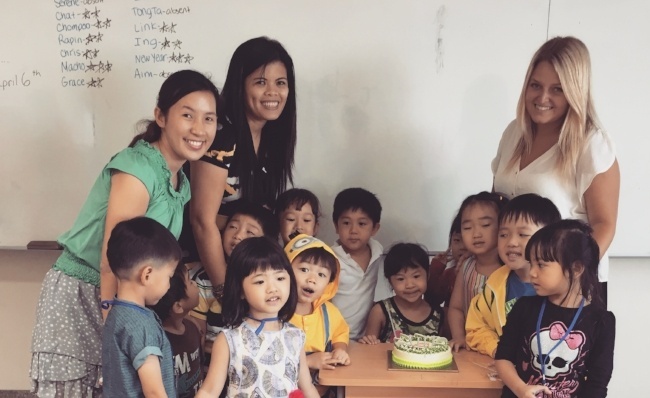 Want to Learn More about Teaching English in Abroad? 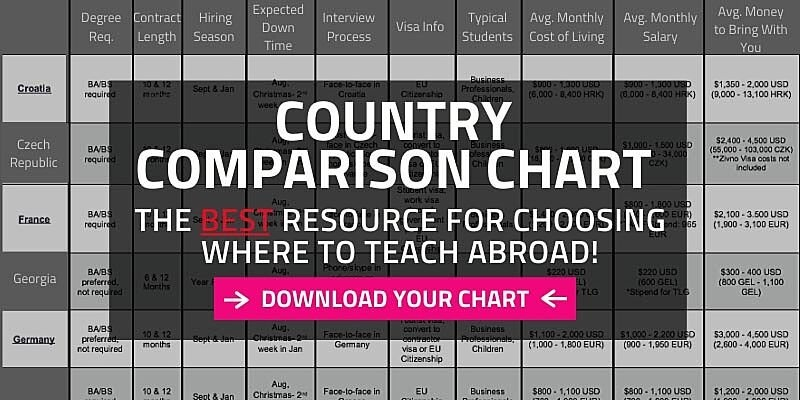 Request a free brochure or call 773-634-9900 to speak with an expert advisor about all aspects of teaching English in Peru and around the world, including TEFL certification, the hiring process, salaries, visas and more.